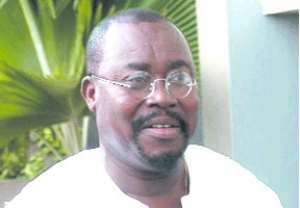 ....Crushing vote against Nyaho 72 - 2 Accra, Feb 2, GNA - An emergency Congress of the Ghana Football Association (GFA) on Wednesday passed a vote of no confidence in the stewardship of Dr Nyaho Nyaho-Tamakloe as Chairman of the GFA. The no confidence motion was moved by Mr J. Y. Appiah, Chairman of the Ghana League Clubs Association (GHALCA) on the grounds that Dr Nyaho-Tamakloe had taken the Executive Council of the GFA to court for their move to impeach him and the second motion is for his misuse of funds. When the motions were put to the vote, 70 of the 77 delegates agreed with the no confidence motion whilst two voted against it with five abstaining. The first reason for the no confidence motion was that it was against the laws of FIFA, the football controlling body for a member of the football fraternity to take an Association to court. According to Mr Appiah, the strict interpretation of the FIFA laws states that the person should be expelled from the Association. Dr Nyaho-Tamakloe last year took the Executive Council of the GFA to court when they initiated an impeachment process to sack him from office. The case was later withdrawn from the court and sent for arbitration for all the parties involved to settle the case out of court. Mr Appiah was also not happy with the way Dr Nyaho-Tamakloe utilised funds given to him from April to October of last year. He said that within a short period of time, Dr Nyaho-Tamakloe spent 1,500 Euros, 16,046 dollars and 77, 639,445 cedis, all belonging to the Association on trips and phones calls.